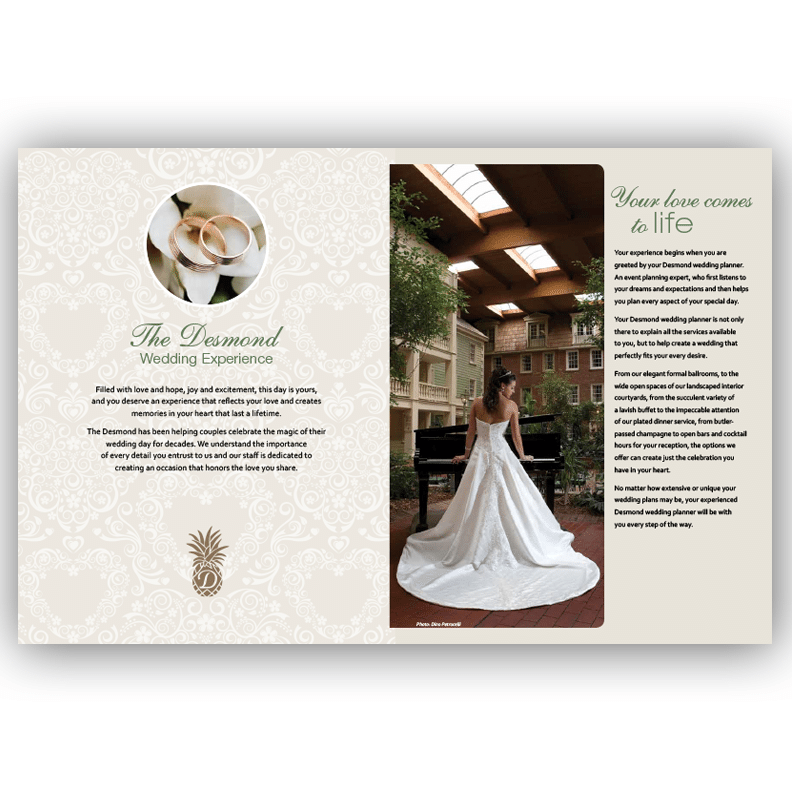 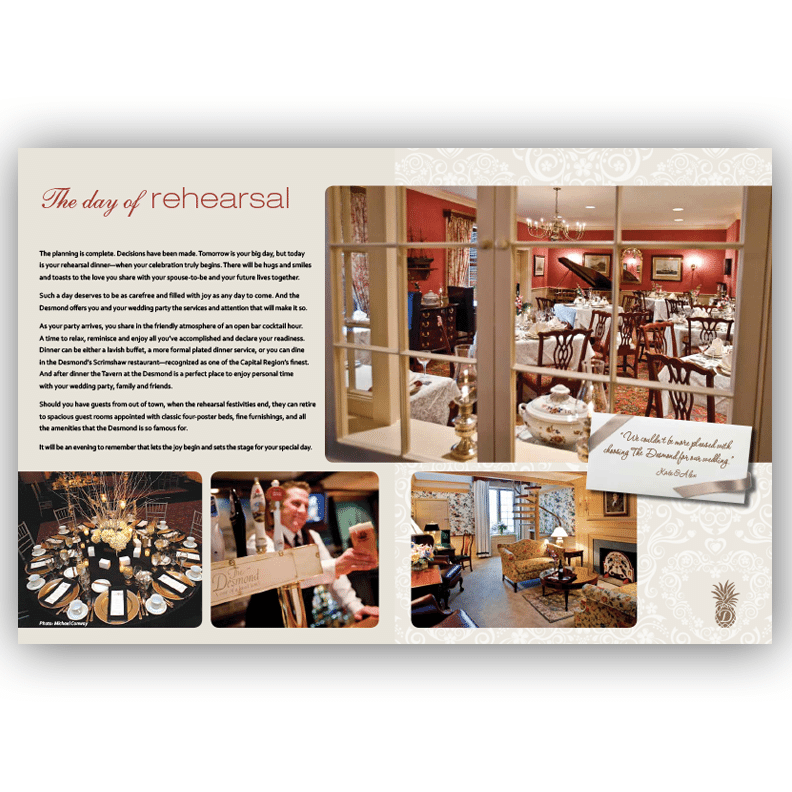 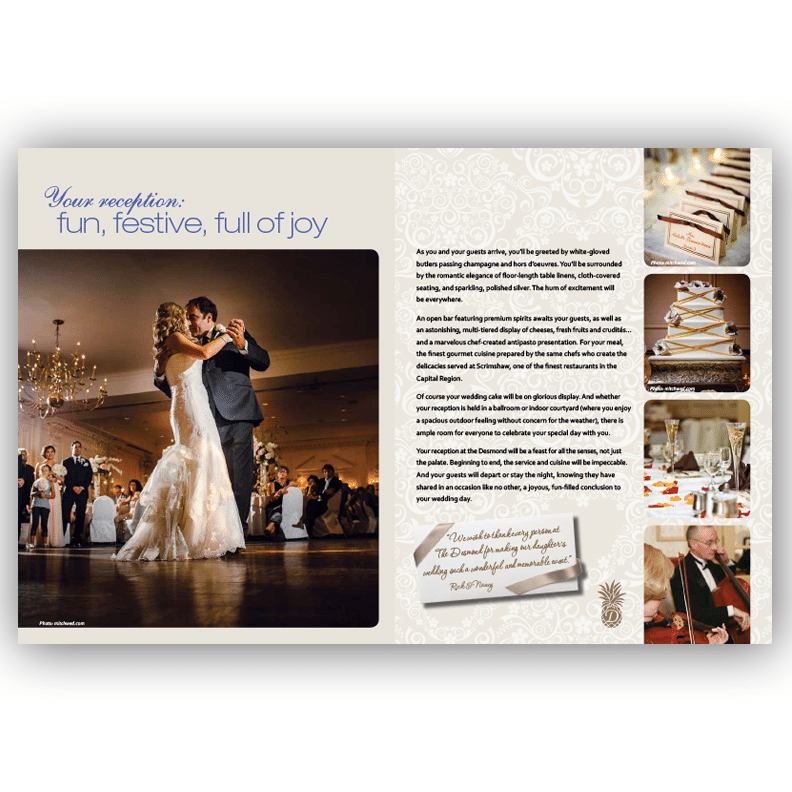 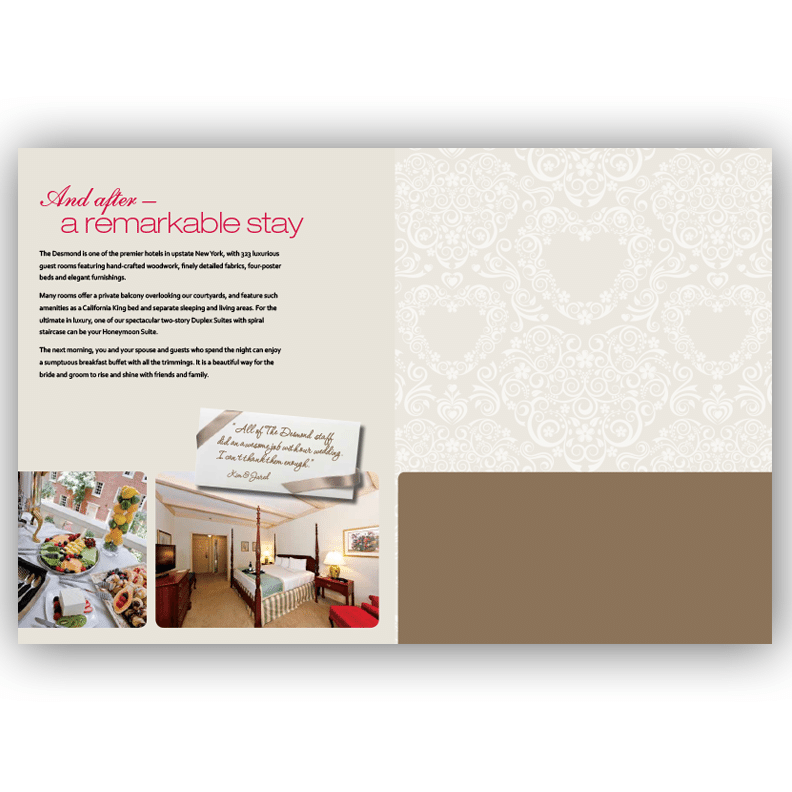 Blass Marketing’s award winning brochure design team created and produced this 12-page brochure and its e-zine companion for the Desmond Hotel & Conference Center to be their main sales collateral for weddings. 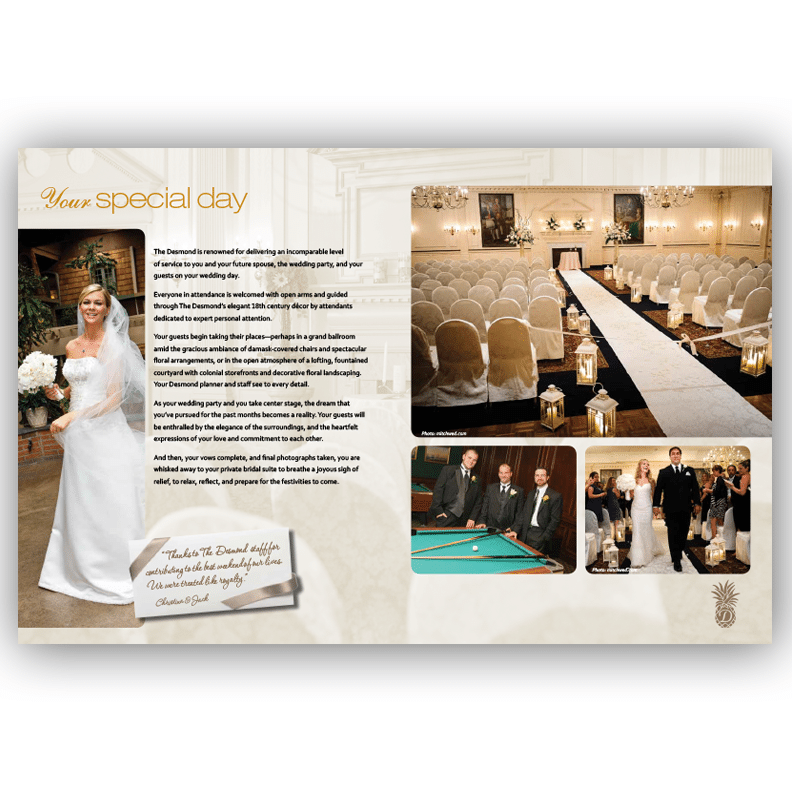 The piece was designed and written to portray the elegance and sophistication of a Desmond wedding. 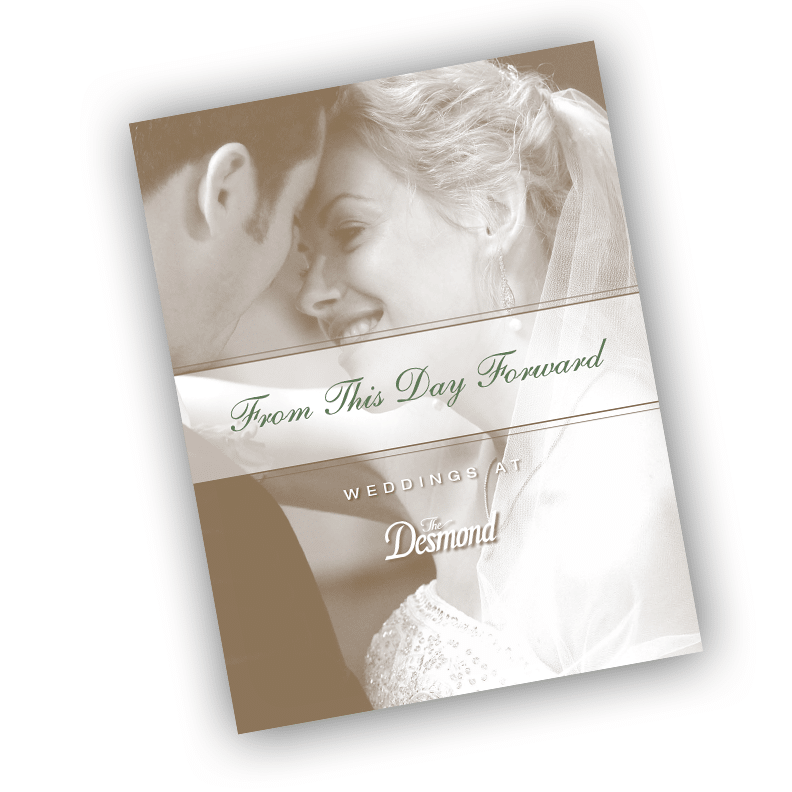 View a PDF of the Desmond Wedding Brochure.